A4 booklet, black and white print, 68 pages, ISBN 978-0-473-41067-4 - published Nov 2017. An overview of the town during the 1930s. 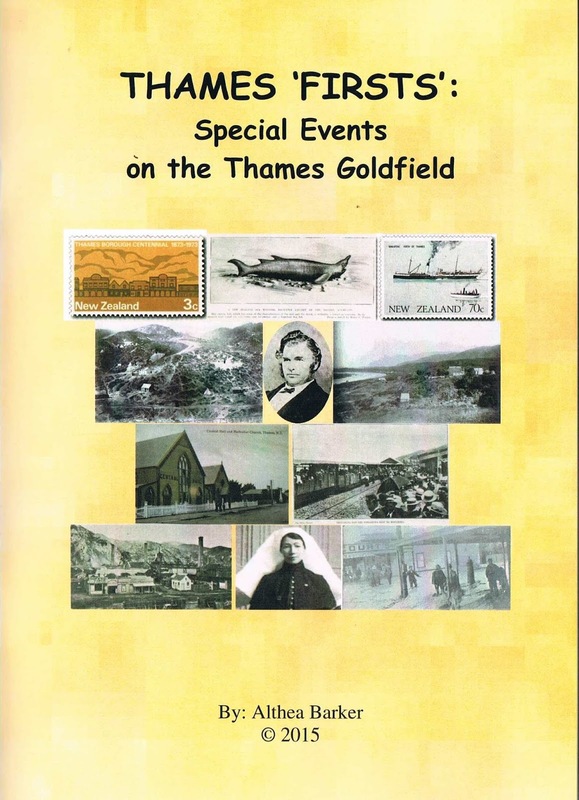 Contents include: Businesses, Churches, Depression, Directories (street and telephone), Floods, Hospitals, Hotels, Lost Pioneers, Mining National and world news, occupations, parades, schools, shipping, sports, Trains and transport, and special visits. 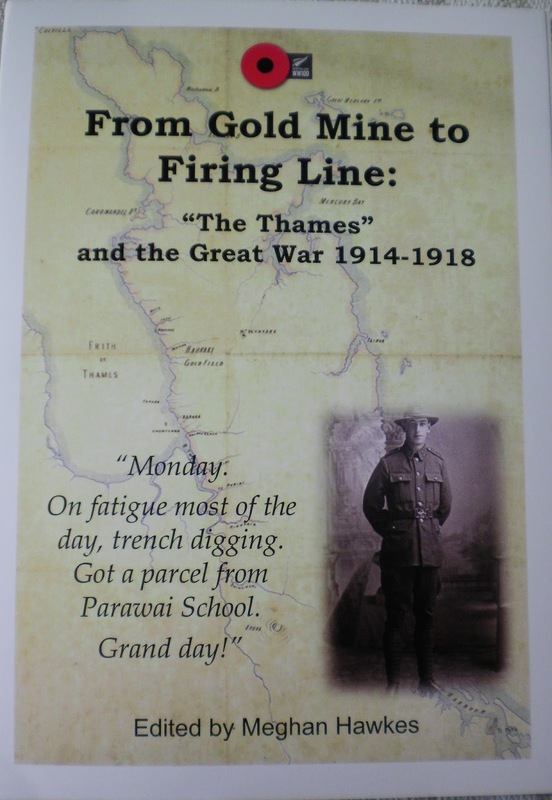 Plus a section on 'Than and Now' photographs around the town. A small A5 booklet full of colour photos, 36 pages. The booklet was prepared with the assistance of the Thames Historical Museum to showcase the replica buildings constructed of Mr T Egan. This is part of the journey with the ‘Heritage Rescue’ Choice TV programme, where a new gallery was constructed at the museum. There is background on 28 buildings. Published September 2016. 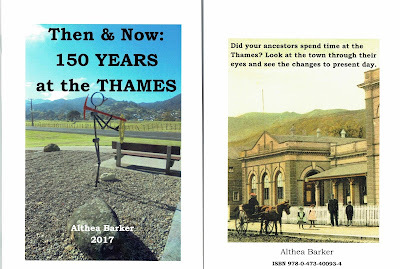 Available at Thames Museum only. 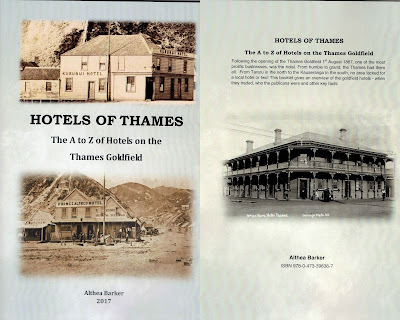 HOTELS OF THAMES The A to Z of Hotels on the Thames Goldfield. Old Thames Landmarks. A5-sized booklet, 34 pages with photos. ISBN: 978-0-9922507-3-7 REVISED EDITION September 2015. *****Correction needed to first copies. Page 21 line 5 should read "corner of Grey and Pollen Streets." (found 30/10/2015) **CORRECTIONS 9/11/2015. Formatting changes to index - borders removed. Brackets removed from dates under photos. *****Update April 1870 the BNZ moved into new building corner Brown & Albert St.
A5 soft-covered 40 page booklet. 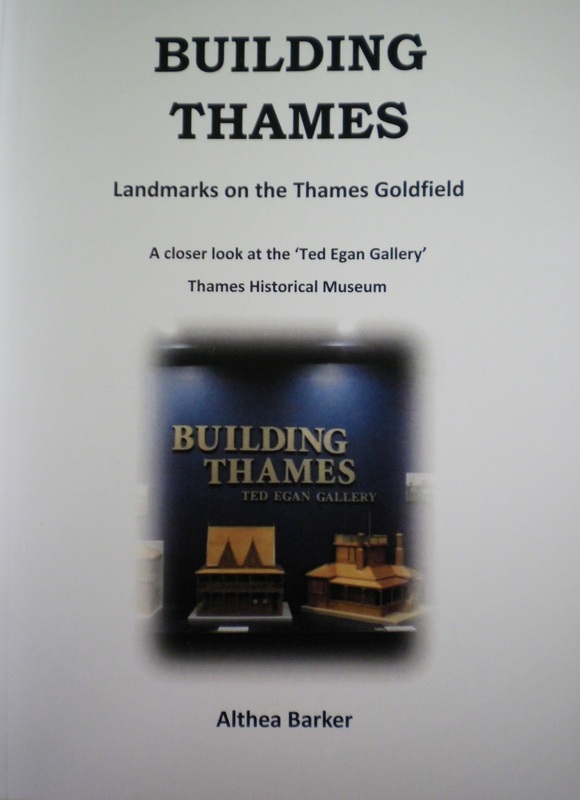 ISBN 978-0-473-38310-7Covers a new set of lost landmarks, with some duplications from the Building Thames booklet that was published for The Thames Museum. ******Index Corrections: (24/6/2017) Bank of New South Wales page 1; Hargreaves, Stapleton & Rolfe Page 3 (NOT 2); Poulgrain Page 3 (NOT 2); Wilson A H Page 3 (NOT 2);. Version1: A4 soft-covered book, 116 pages, with many photos, newspaper clippings, fully indexed. A5-sized booklet, 42 pages. 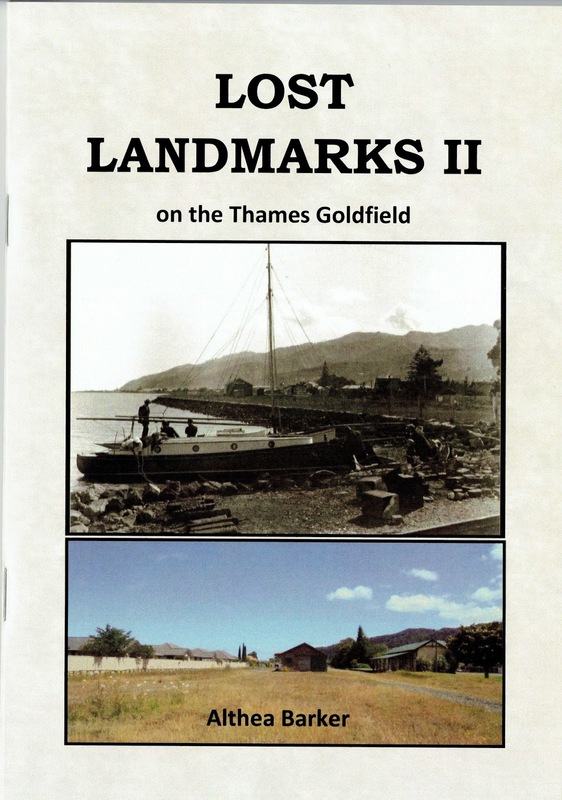 ISBN: 978-0-9922507-4-4 UPDATED/Altered Booklet published December 2015. A5 size, 37 pages, with photos. ISBN: 978 0 9922508 4 3 REVISED EDITION September 2015. Page 34. Thomas Rowley, an ex-Thamesite recalled the event not even. NOTE: Matatoke is the early spelling for present day Matatoki. A4 88 Pages soft cover. 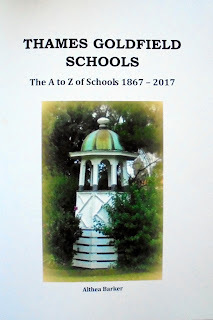 Overview of all known schools on the Goldfield. A4 soft-covered 44 page book. A bit of the history, dates and background to memorials ranging from the opening of buildings to our World War Soldiers. Schools, churches, hospital and library are just some of the buildings covered. Plus the more unusual such as seats, heritage signs, gates and sculptures. We often pass these things each day and never stop to think who was responsible for the building or event being remembered. Now is your chance to learn more. A4 size, 60 pages, with photos. 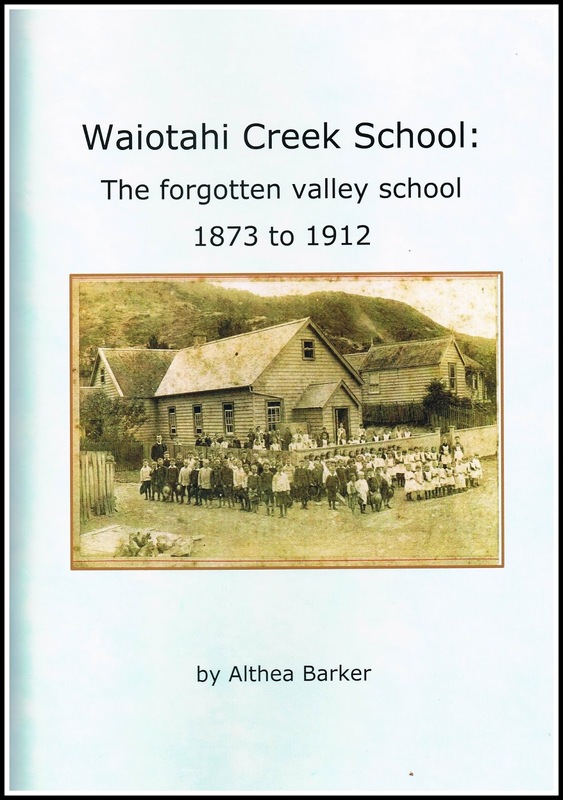 Published October 2015, Covering the history of the Waiotahi Creek School, Thames. Topics include: Major events, prize-givings, families, pupils in WWI, register of pupils and much more. 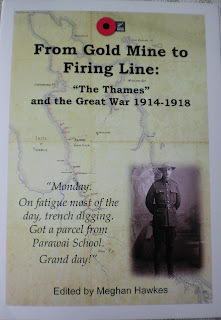 Available at The Thames School of Mines. A4 size, 74 pages, with photos. Commemorating the opening of the forest at Rhodes Park. 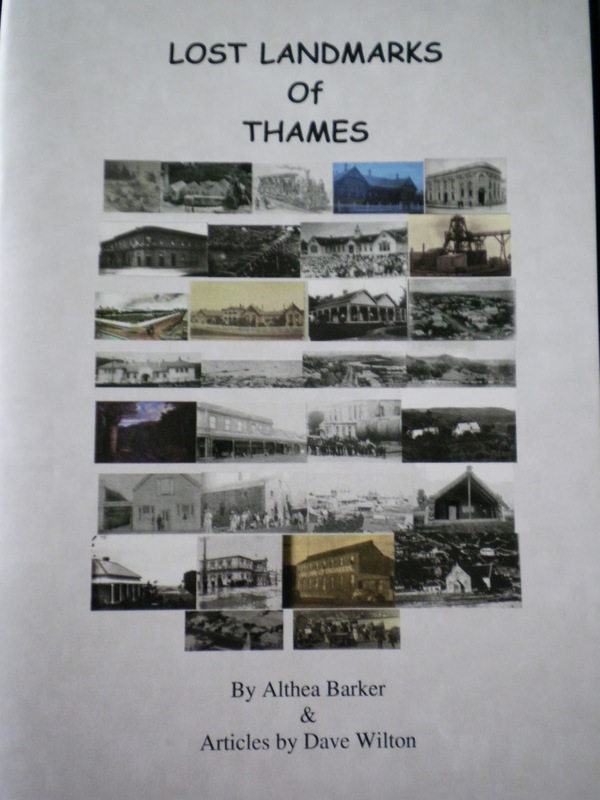 Copy available for viewing at The Treasury, Thames and Thames Library. Printed October 2015. True Tales of Thames, The Treasury 2017. 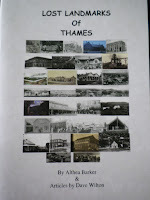 Article entitled: Thames Artist - Douglas Owen Barker. The Growth of New Zealand Towns, Hugh Dickey, 2017. 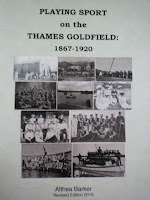 Article contributed on The Thames. 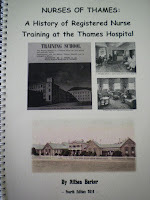 Research Folders for: Mines & Batteries, Pre and post 1930 Thames Businesses, Thames Hotels & Licenses, WWI & WWII, Thames Streets, TCDC Military Nurses, Thames Star Collection 1939-1956, Auckland Star Obituary Collection, and Thames Hospital Nurses' Graduations. 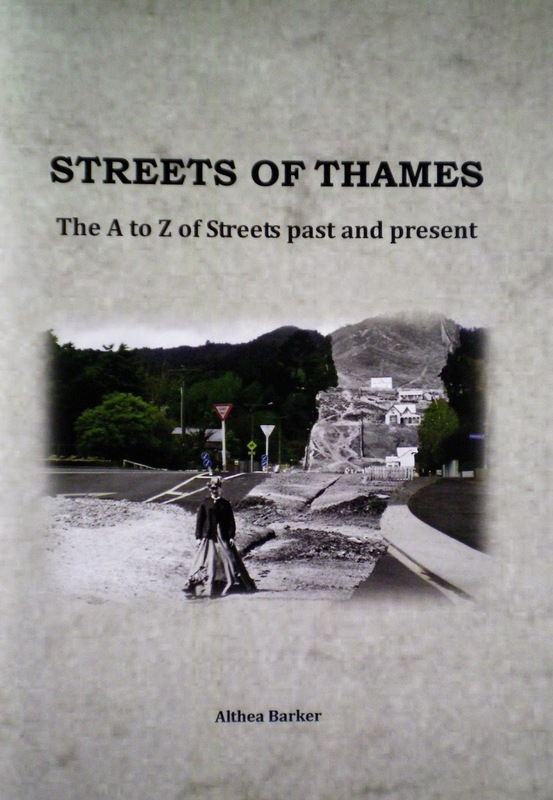 Thames Businesses, Thames WWII, Lost Landmarks III, and The Thames Through their eyes. 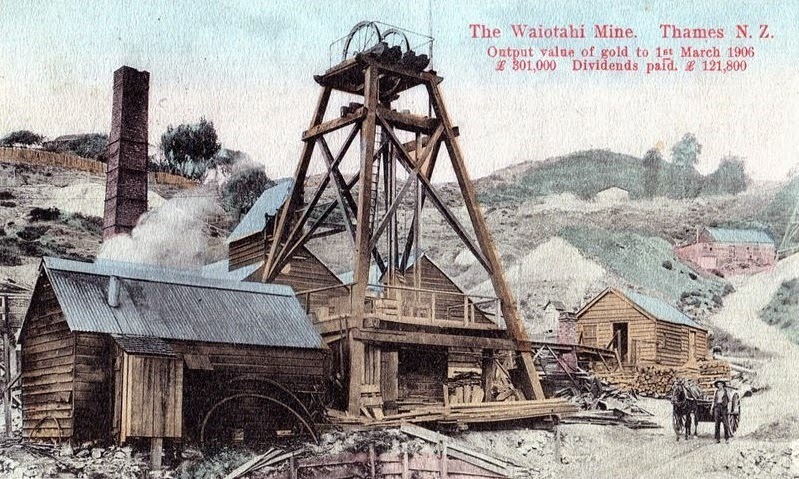 Book Sales: Thames School of Mines. Plus 1000s of memorials added at Find A Grave: Tararu Cemetery, Shortland Cemetery and Old Thames Cemetery.